This book is based on what God has said in his Word, and what men and women have said in the form of popular quotations regarding seventy different topics encountered in daily life. An author's commentary is provided for each topic. “Either write something worth reading or do something worth writing” Benjamin Franklin This book began many years ago, although I did not know it at the time, when as a young man fresh out of college, I began the practice of collecting quotations and items I ran across that inspired me. I kept them in folders in my desk both at work and at home. Wanting to share them, I would occasionally use them in an email message or newsletter. I would even post them in various places around the office, hoping they would inspire others as much as they did me. Put that together with my love of the Bible, some spare time, and suddenly you have the makings of a book. 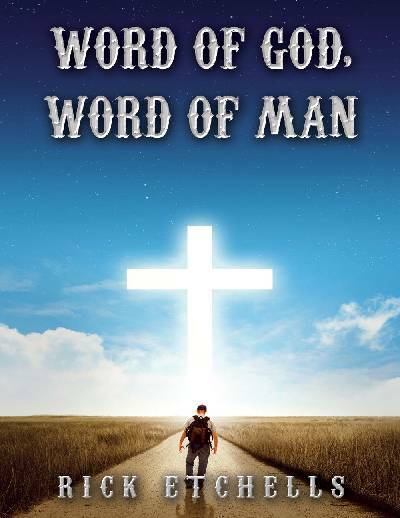 This book is based on what God has said in his Word, and what men and women have said in the form of popular quotations, regarding a variety of different topics that we encounter in daily life. For each topic I include my own insight, interpretation and experience. It can be used as a devotional, for help when we face situations in life or for general reading and enjoyment. I believe we can learn and be inspired by both the thoughts of God as well as those of man. In many cases what men and women have said agrees well with what God has said through the Bible, while in others it stands out in stark contrast. The Bible is packed with wisdom throughout both the Old and New Testaments. In the 70 topics covered, Bible passages are included from 29 of the 39 books of the Old Testament and from 24 of the 27 books of the New Testament. To provide a broad view, passages are included from 14 different translations and versions of the Bible. As the book developed, certain chapters of the Bible stood out as speaking to multiple topics that I chose to write about. These include Deuteronomy Chapter 5, Matthew chapters 5 through 7 (the Sermon on the Mount), Romans chapter 8, Romans chapter 15, Ephesians chapter 4, Colossians chapter 3 and James chapter 1. With few exceptions I tried not to repeat the same Bible passages for different topics. However, some passages naturally seemed to apply to more than one topic. For example Matthew 18:1-6 is a great passage about humility but also speaks well to God’s love of children. 1 Peter 2:1-3 talks about envy but is also about kindness. I further discovered that different translations and versions of the Bible put a different spin on things for the same passage. Proverbs 3:3-4 for example puts an emphasis on kindness in the NASB but on success in the ESV. While Malachi 3:10-12 emphasizes giving in the GNT and is about blessing in the NLT. My hope and prayer is that you will be as inspired by reading this book as much as I was in writing it. May God bless you as you explore what lies within.